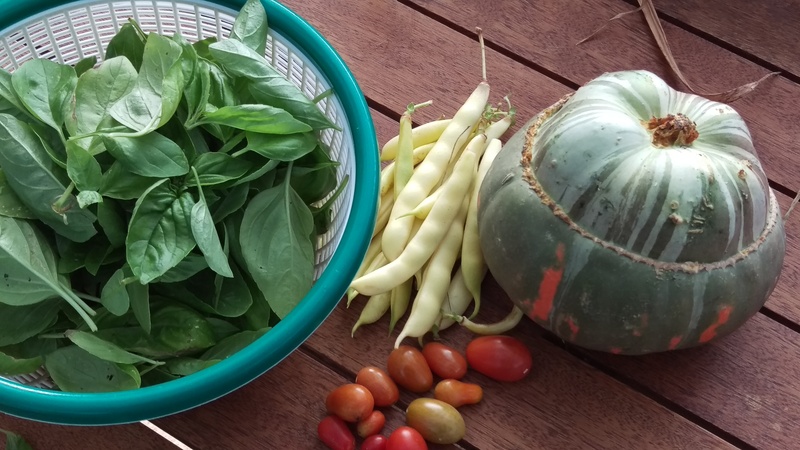 As autumn has settled in there has been some final harvesting. And perhaps the final hat. You just never know. It’s made of an alpaca yarn left over when my mother-out-law made a vest, and some eucalyptus dyed handspun alpaca. It has already gone to a happy new home as a birthday gift. My colour work still needs some practice. In my efforts not to pull too tightly on the floats I have some overly loose stitches. But actually, I think this turned out really well. I loved the pattern at first sight. 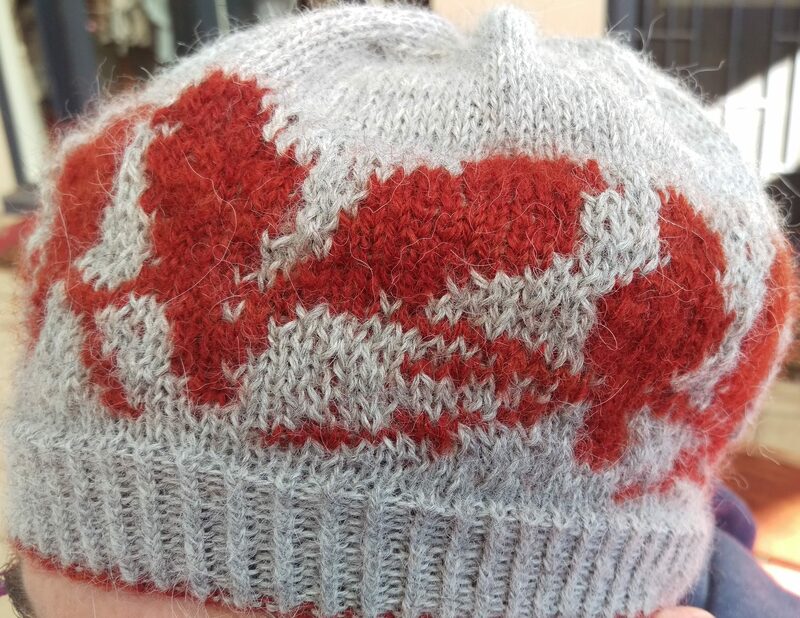 It’s the passerine hat by Erica Heusser. Somehow the crown on mine looks totally different to all of her images (and I see the same result in some other people’s versions on Ravelry). But it is not a problem of any kind. 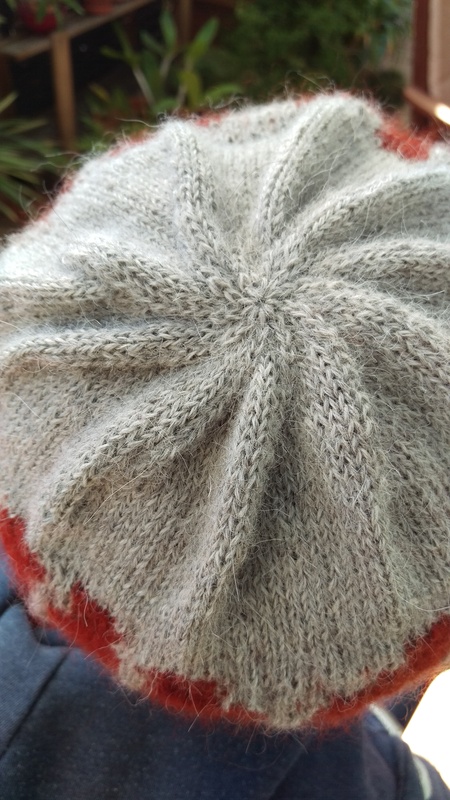 It’s a completely charming design and I’d knit it again, except that I seem to have moved on from hats for now and I am working on another project that needs to get knit, because autumn is moving all too quickly into winter! I’ve had a spell of eco printing onto old woollen blankets. It is extremely rewarding: wool is the perfect fibre for dyeing with eucalypts (as India Flint has said so may times) and the pile of the blanket means that every detail can show! This one turned out to be the perfect size for my friend’s new and glorious ceramic keep cup. She was struggling with plastic at her favourite cafe; saw my beloved’s keep cup in use, found a lovely ceramic one of her own on a side trip to the art gallery–and all it needed was a little insulation against the bumps of life. This is a larger model I also like a lot. I think I will make more. 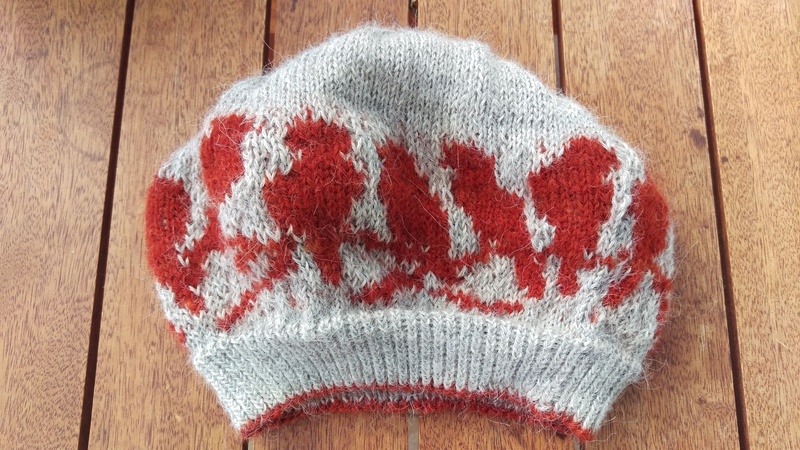 The pattern came from Kristine Vejar’s Modern Natural Dyer, which was a kind birthday gift. I am enjoying it very much.